[Jane Mary Wood Johnston Mitchell/Michel: Notes on Family (1870+), Part I. My rough transcription. Additional paragraph breaks inserted for easier reading. My mother was Mary Winston Wood, daughter of M[?] Valentine Wood, who was [the] only son of James Wood, an Englishman of a highly respectable family who came to Virginia early in life, & settled in Buck Island in [left blank]. The said James Wood is known to us only as a worthy gentleman. Mr. Valentine Wood married Lucy Henry, a sister of the famous Patrick Henry. She was a woman of unusually fine mind, highly improved by constant reading of the best English authors. The ladies of the Henry family, as well as their celebrated brother, were noted for their conversational powers – and, my grandmother’s abilities in that line were said to be most remarkable. She was handsome in her youth – tall & stately, an elegant gentlewoman of the old school. She lived to be upwards of seventy, having survived her husband [by] more than thirty years. They had four sons & four daughters. The sons were William (never married), John, married Miss Garrett of Charlottesville & had but one child, a daughter who married & went North. Henry, who went out to Kanawha when young & was lost sight of by his family. Valentine, the one worthy son, died just as he reached manhood. Of the daughters, the eldest, Martha, was twice married. Her first husband, Mr. Southall, was a gentleman of talents & great worth. The second, Mons. Stras, a Frenchman, won her regard by his pleasing manners & person. He was a professional gambler. She was a handsome woman, much admired for showy qualities, but was worldly and ambitious of wealth. Her Southall children were Philip, an excellent man, a physician, lived and died in Prince Edward. Valentine, an eminent lawyer and an admirable gentleman. He lived in Charlottesville, & left a large family. Mrs. Lucy Cutts, Mrs. Martha Van Zandt, & Jane, who died single. The Stras children were Emily & Joseph. My mother was next in age to Aunt Patsy. She was married at the age of twenty, & died in her fifty-seventh year, of lingering consumption. Next to her was Lucy, who married Edward Carter of Amherst – left three children, Champe, Peter & Mary. Aunt Lucy was a lovely woman – amiable, sensible – the favorite sister of my mother, who always spoke of her with great tenderness. The youngest daughter was Jane Robertson, who never married, as I have heard it said, because she could never find her equal. She was a woman undoubtedly of superior abilities & much culture: excelled especially in music, a rather rare accomplishment in her day. She was handsome, & extremely dignified. Most of her life was spent in my father’s house. He was enthusiastically fond of her, looking upon her as his eldest daughter, and my older brothers regarded her with a romantic sort of admiration, as well as most tender affection. She died early – I don’t know at what age – but I have heard them say she was in the perfection of womanly loveliness, when she was taken from the household of which she was the ornament and the chief delight. My great-grandfather was named John. Of him and his wife I only know that they were worthy and intelligent and gentlefolk. The first ancestor of the name in America was an Englishman a Clergyman of the Episcopal Church. He had a parish in Hanover county, which was the residence of his descendants. He was grandfather to my grandmother. Here I must remark, and I wish my children to remember it well, that all of my ancestors on both sides were Episcopalians, and were among the most respectable, nay honorable people in a section of country which was noted for the high character & the refinement of its inhabitants. 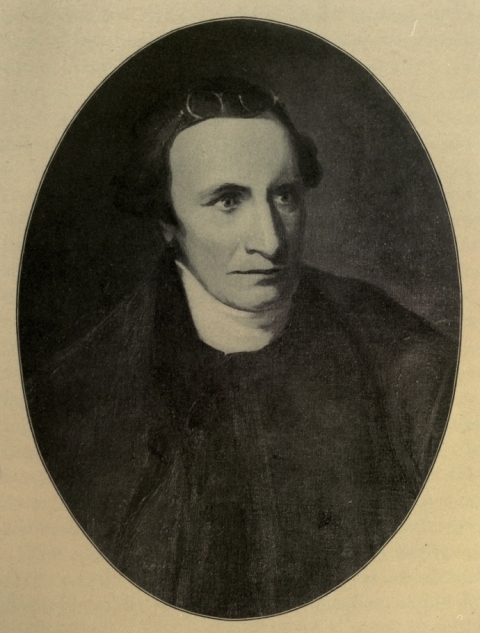 Mr. Wirt, in his “Life of Patrick Henry” deviated widely from truth in representing him as the son of an obscure family, & as having been destitute of education. Mr. Wirt, himself a man of low origin, must have been influenced by a desire to bring down the mighty orator & statesman to his own original level, or else to enhance Henry’s glory by making him appear a self-taught genius. Whatever may have been the motive, the statement was an utter falsehood, as I have heard from the lips of those who were thoroughly cognisant [cognizant] of all the circumstances attending Mr. Henry’s family and his education. I have often heard my father speak with indignation of this misrepresentation, and characterized the whole book as a fiction. It was called by those who knew the facts, the Romance of Patrick Henry. My husband, when at Hampden Sydney, used the same copy of Virgil which had been studied by P. Henry, with his name in it, and numerous notes in his handwriting. This book had passed into the hands of his nephew, Patrick Winston. It was in itself a sufficient refutation of Wirt’s assertion. My grandmother had but one brother, Patrick & seven sisters, all of whom married. Susan, Mrs. Madison, who left numerous descendants. Her husband was brother to Bishop Madison, the first Bishop of Virginia. Mary, Mrs. Christian, who also had a large family – her descendants are to be found for the most part in Kentucky, the State to which she removed in middle life. Agatha, Mrs. Thomas, who died young and childless. Jane, Mrs. Bowyer, of whom I can only make the same brief record. Sally, Mrs. Meredith, who had two daughters – one married Col: Armistead & was remarkable only for her eccentricities. She did not live long with her husband. Took such violent offence at his telling her a falsehood about her horse, that she separated from him, & lived for the rest of her life alone: with no companions but her dogs, which were her delight. Her end was a terrible one – her house took fire one night & she, with all her pets, was consumed. The other Miss Meredith married a gentleman of great worth, David S. Garland. They had several children, one of whom you know as Mrs. Mary Cabell. One of the sons is noted as a man of great learning, and has been connected (as Professor) with the University of Alabama. Dolly, Mrs. Winston, was mother of a large number of children, of whom I know but little. [Mary Winston Wood = aka Mary Valentine Wood (May 8, 1769-June 25, 1825). James Wood = Henry Wood (1696-1757). John Wood = John Henry Wood (1776-1850). Miss Garrett = Mary A. Garrett (1796-?). Martha Henry "Patsy" Wood (1768-1834). Southall = Stephen Turner Southall (1757-1791). Stras = George Frederick Stras (1746-1811). Philip Southall = Philip Turner Southall (1791-1857). Valentine Southall = Valentine Wood Southall (1789-1861). Mrs. Lucy Cutts = Lucy Henry Southall (1790-1868), married Charles Cutts (1769-1846). Mrs. Martha Van Zandt = Maria Martha Wood Southall (1787-1862), who married Nicholas Biddle Van Zandt (1777-1863). Jane = Louisa Jane Southall (1784-1807). Emily Stas = Emily Catherine Stas (1803-1872). Joseph Stas = Joseph Henry Stas (1808-1885). Lucy = Lucy Henry Wood (1774-1837), who married Edward Champe Carter, Jr. (1768-1825). Peter = Peter Johnston Carter (1809-1862). Mary = Mary Champe Wood Carter (1805-1879). Mr. Wirt = William Wirt (1772-1834). My father = Peter Johnston, Jr. (1763-1831). My husband = Harvey Mitchell/Michel (1799-1866). Henry sisters (years approximate in some cases) = Sarah Winston Henry (1710-1784) was first married to John Syme (1690-1732) and secondly to John Henry. John Syme, Jr. (1729-1805) was a son from the first marriage. Daughters from the second marriage included Anne Henry (1738-1790), Mary Jane Henry (1738-1819), Sarah "Sally" Henry (1738-1819), Susannah Henry (1742-1831), Lucy Winston Henry (1743-1826), and Elizabeth Ann "Betsy" Henry (1749-1825). Agatha Henry, according to Jane, was another daughter.